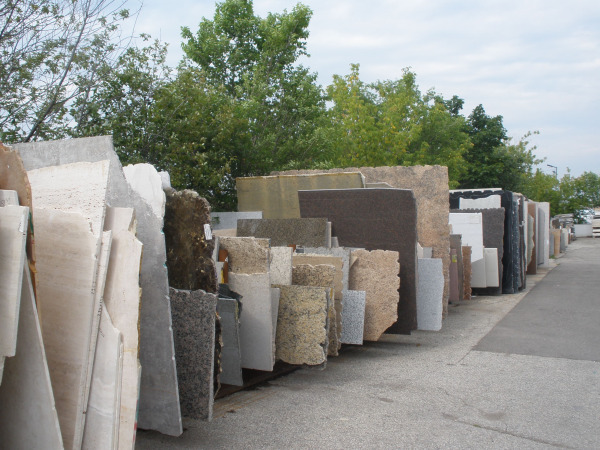 When we order granite slabs from our distributers, we have to estimate how much material we will need, often times we will make sure that there is more than enough material to complete the job. Sometimes, there are pieces left over, some large enough for a kitchen or smaller pieces that would be perfect for a beautiful vanity. Many companies would throw these pieces away, but at Latitude, we keep them. This is a part of the Latitude green initiative, to decrease the amount of stone that we send to the landfills. We turn the larger pieces into beautiful kitchens and vanities, small pieces into cutting boards and lazy susan’s. 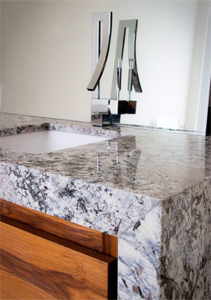 When purchasing a remnant countertop from Latitude, not only are you helping to save the environment, you are also saving a lot of money. Is this material defective? Is it on sale only because no one wants it? Remnant material is not defective. It is simply left over from a previous job. Each piece gets thoroughly inspected by our sawyers before they are cut. If they do find a problem with the slab, we will ask you to come in to reselect, we will not even cut it if it doesn’t meet or standards. We will not “Frankenstein” a countertop for you – meaning we will not seam a lot of little pieces together just to make the countertop for you, we will only fabricate the countertop for you if we think that we would be happy with it in our home. You get Latitude craftsmanship at bargain basement pricing. Remnant pieces are not on sale because nobody wants it, it’s on sale because the original job it was allotted for does not need it. 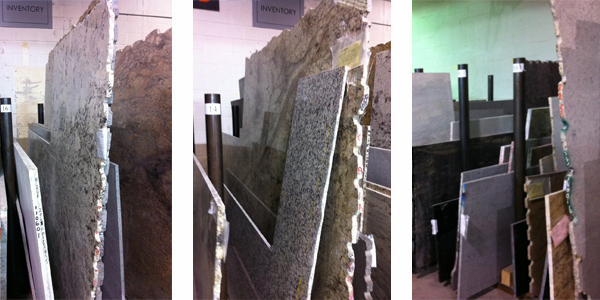 There are many different granites and marbles to choose from and the selection changes all the time. 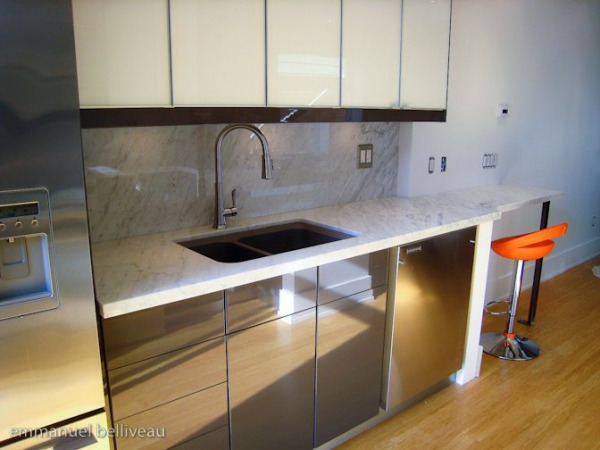 It is more difficult to find enough material for a kitchen since it requires more material. “L” shapes or any shape that requires seams must come from granite from the same slab or a slab from the same block to ensure that the colours match. More material may be required if the stone is directional. 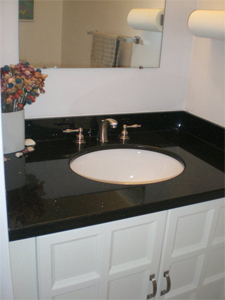 You want to make sure that your granite countertop flows through all the pieces in your kitchen. Whenever people visit us, they are always in awe of our remnant selection and the beauty of the pieces left behind.